On Monday, I spent the day with Max and her daughter Murphy. I was there to see their new house and teach Max to make pizza dough. Pizza dough is so easy to do and tastes so much better than the bought stuff. This is how I make it and how I taught Max. *All the olive oil in my house is extra virgin (Nigel Slater would not approve but that’s the way it is!) so I don’t know if it would be different if you used ordinary oliver oil or another oil completely. If you do let me know how it turned out! **You can stick this in the fridge for a couple of days and it freezes really well. Just make sure that you give it enough time out of the fridge or freezer for it to be room temperature. 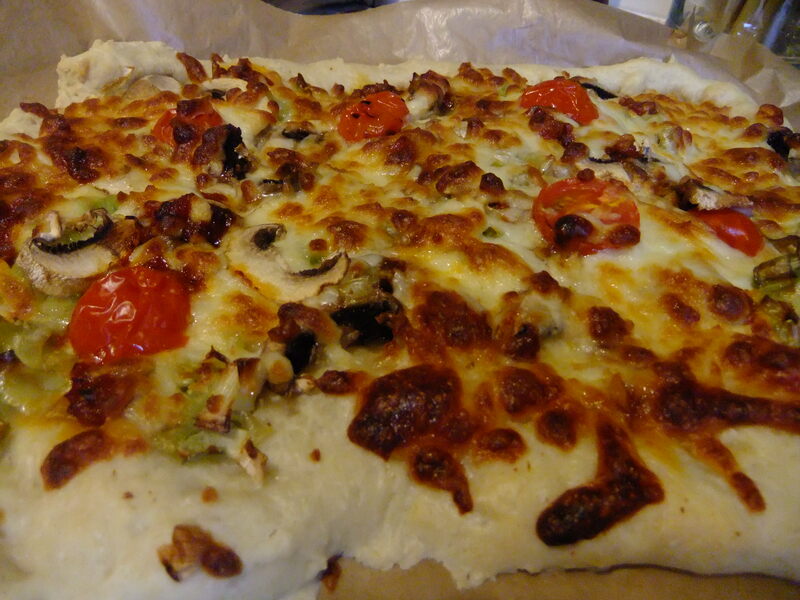 This entry was posted in Food, Friends, Uncategorized and tagged cooking, easy and delicious, food, pizza, pizza dough. Bookmark the permalink.